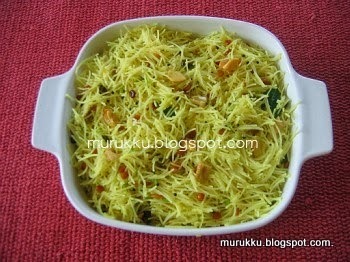 Sevai can be made in 2 ways. The difficult way is by first principles and the easy way is by using Chinese thin rice noodles. Soak the rice for 4 hours and grind finely adding the salt.. 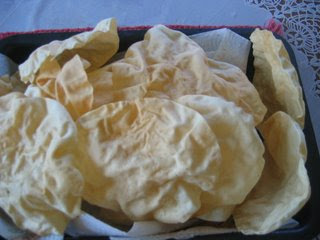 The dough should be like dosa batter. Heat a wok and pour this dough. Add 2 tsp oil (this makes sevai tasty and non sticky) and stir the dough till it becomes thick and sticky. When the dough is not too hot, wet your hands with water and make big balls and keep. After the water boils, put the rice balls in it and let it cook. When the balls float to the top, check to see if they are cooked properly. You can do this by cutting into half and seeing if they are not sticky. Put each ball on the sevai nazhi(sevai traditional press) and sevai comes out like pasta. It should be hot otherwise it gets difficult to press. Heat a pan with oil and add mustard seeds, urad dal and chana dal. When mustard seeds crackle, add chillies, ginger and curry leaves. Add the sevai and mix nicely. 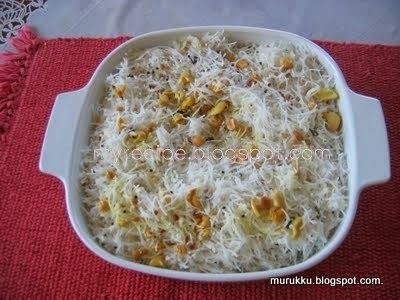 You can eat this sevai with pappad, chutney or morukuttan. 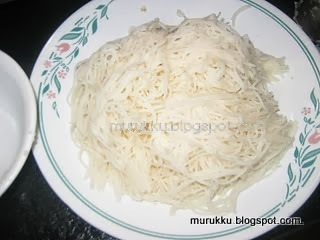 You can also prepare sevai using Chinese thin rice noodles. Just boil the water with salt and 1 tsp oil. Add the noodles when the water boils. Prepare sevai as above. Heat a pan with oil. Add mustard seeds 1tsp, chana dhal 2 tsp finely cut green chili ginger 2 tsp each and a few curry leaves. When mustard seeds crackle, add half tsp turmeric powder and half tsp hing. Add the sevai and the juice of 1 lemon juice. Mix well. Garnish with coriander leaves.